After launching a series of smartphones that have set a benchmark in the world of smartphone technologies, Blackview is all set to present their latest smartphone model BV9500 pro that is being called ‘the most uncrackable and early bird reward. Earlier, Blackview has launched smartphones with advanced camera features, extended battery life, wirelessly charging and more but now with their latest BV9500 Pro model they have focused the most on offering a smartphone that is resilient to almost all kinds of wear and tear. This model has passed the extreme tests of being frozen in ice, run over by a car, dropped from a few meters above, buried under the sand, and thrown on pebbles and what not. 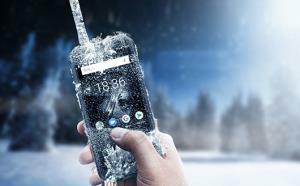 But it went through all to come out stronger than ever and which is why the makers are calling it a game changer in the world of rugged smartphones available in the market. This is none like other and nothing like this has ever been made. 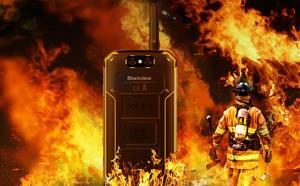 Blackview BV9500 Pro features IP68 Certified Rating Waterproof, which means it offers the highest level of protection against water. It can survive not just a brief dunk in the water but also a 1.8m submersion in water for up to 30 minutes. It is made using unique technology and extremely robust architecture reinforced by aviation grade aluminum alloy and Industrial rubber to make it highly durable and resilient to all kinds of harsh situations. 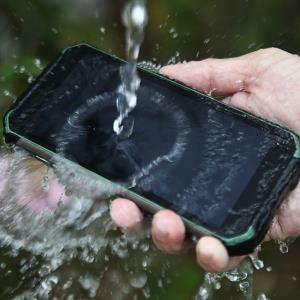 This smartphone is best suited for those who have to work in tough environments, like the firefighters, law enforcement officers, mechanics, hikers, travelers, defense personnel and anyone who’s prone to dropping their smartphones frequently. Apart from being the ultimate rugged smartphone, it also comes with all the other major features like 12V/2A Wireless Charging, 10000mAh BAK battery, 18:9 Full Screen, 5.7” FHD+, 13MP front camera and 16MP rear along with 6GB+128GB of storage capacity. The operating system is the latest Android 8.1 for fast processing and smooth usage. The interested backers can avail a 20% super early bird discount on Blackview BV9500 through its pre-release on Indiegogo.com(http://bit.ly/2JsmiJv). 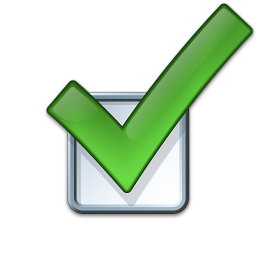 The official launch of the product is estimated to be in July this year.